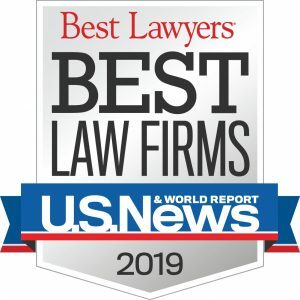 McGown & Markling is very proud to remain among the select few law firms to receive a Tier 1 Ranking by U.S. News—Best Lawyers® “Best Law Firms” in “Education Law” for every year since the ranking began. The rankings are based on a rigorous evaluation process that includes thousands of clients, highly skilled lawyers, and law firm representatives. Board organization/operations—ethics issues, sunshine laws, public records requests and the development/revision of policies. Construction—public improvements, architect and construction contracts, competitive bidding documents and procedures. Federal and state employment laws—Fair Labor Standards Act, Family Medical Leave Act, Title VII, Title IX, Americans With Disabilities Act, OSHA, workers’ compensation, reductions-in force, health benefits, pensions/retirement plans, tax sheltered annuities, evaluations, employment contracts. Financing—counseling and supervision of proceedings for debt and lease-based financing of capital improvements and for cash-flow financings including state law, federal tax and securities law analysis and assistance. Labor relations and collective bargaining—employee grievances, arbitration, unfair labor practice claims, union negotiations, fact-findings and impasse/strike preparations. Acquisition and disposition of property—office equipment, energy conservation measures, and the leasing, purchase and sale of property. Special education law—counseling on compliance with Individuals with Disabilities Education Improvement Act and Section 504 of the Rehabilitation Act of 1973, attendance at Individualized Education Program meetings, mediations, and due process hearings, staff training, legislative involvement and court appeals. Student rights and responsibilities—custody, residency, transportation, discipline, student records/privacy, first amendment issues and tuition. Territory transfers—procedures for district reorganization including annexation, consolidation and transfer. Board of trustee meetings, functions and resolutions. Bylaws, faculty guidelines and administrative manuals. Development, fundraising and implementation of gifts. Taxation of income from ancillary sources. Intellectual property ownership and licensing. McGown & Markling is dedicated to the common good of ensuring that all educational institutions and their officials are provided with adequate school law representation. We honor this professional commitment through our exclusive School Law Hotline℠, which offers all eligible Ohio educational institutions with five hours of pro bono legal services per school year. © McGown & Markling Co., L.P.A. 2003–Present Copyright & Disclaimer.